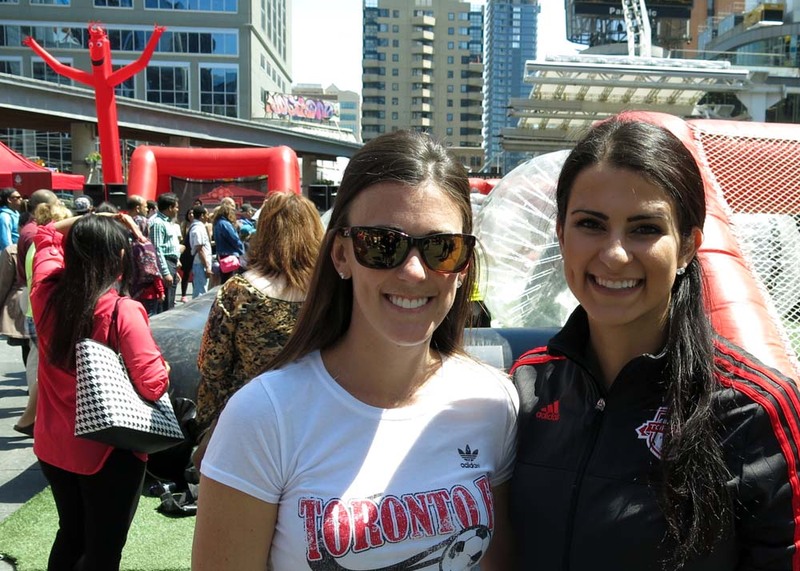 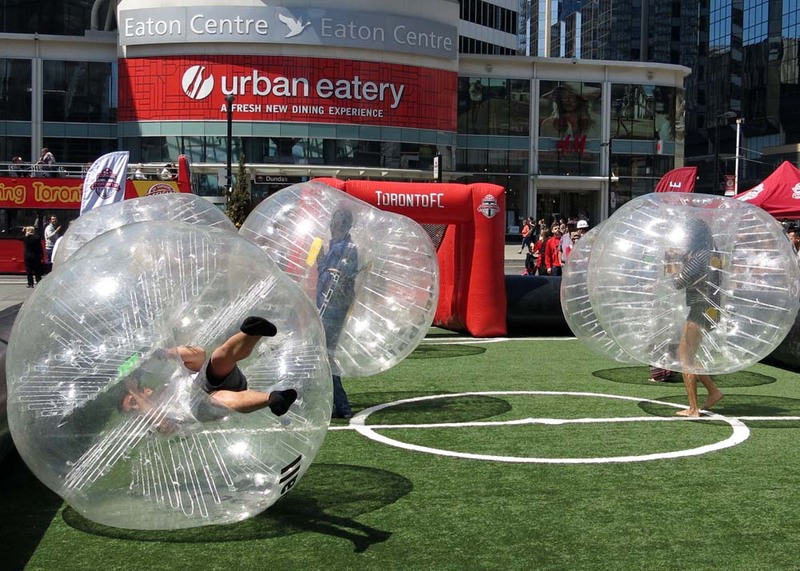 Toronto’s professional soccer club brought the incredibly funny game of bubble soccer to Yonge-Dundas Square today to help promote the upcoming home opener against the Houston Dynamo. 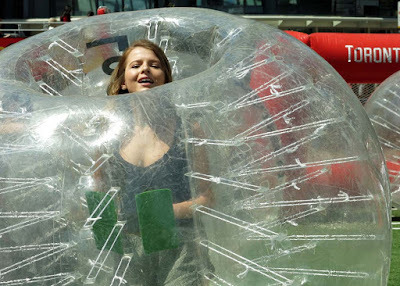 Volunteers climbed into giant plastic bubbles and tried to kick a large soccer ball into the opposing team’s net all the while bouncing off of other giant bubbles. Sometimes the collisions made the players roll around and turn upside down. 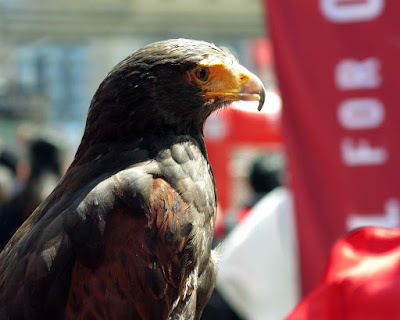 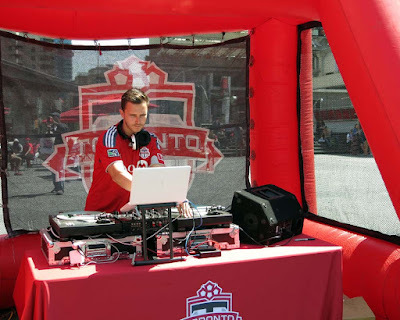 Also in the square was a disc jockey providing music, a bird of prey display and a booth where you could pick up game tickets and a team scarf. 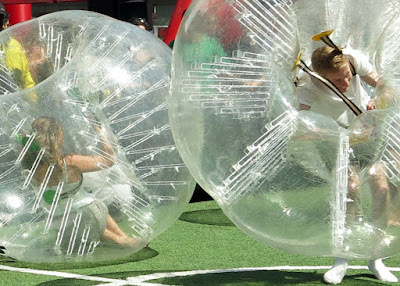 The lunchtime crowd really enjoyed watching the antics of the bubble players during the Thursday, May 7 promotional event.